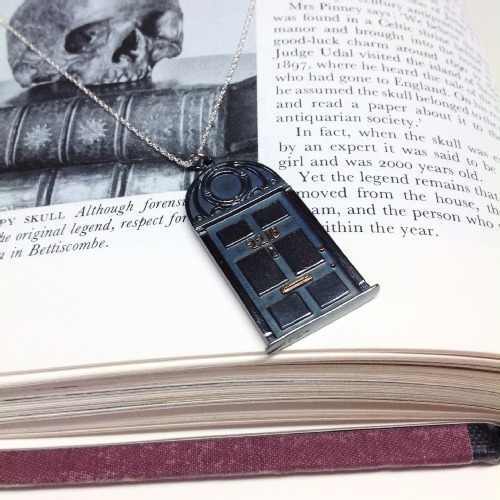 Sherlock Jewelry – Isn’t It Obvious? 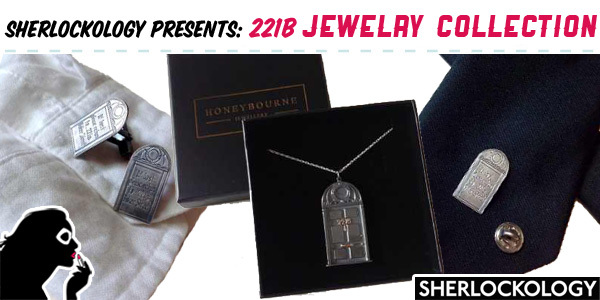 In the beginning of this year, Sherlockology teased out info about U.K. jewelry company, Honeybourne Jewellery, working on Sherlock themed jewelry. Many a Sherlock fan woke up to exciting news this morning, as the collection has launched today, and is available exclusively on Sherlockology’s store, Sherlockabilia! 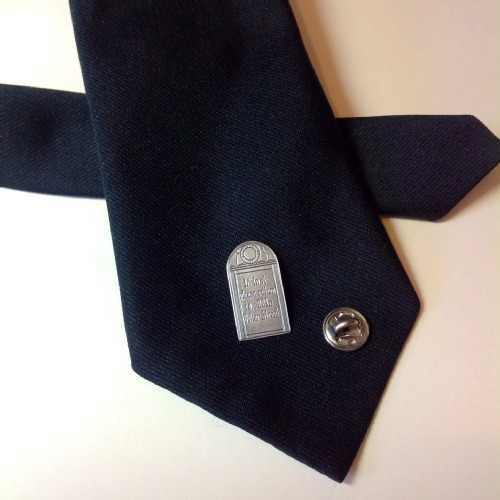 The collection consists of 4 pieces (a pair of cufflinks, pin, and two necklaces), and range in price from approx. $35 to $130 USD. One necklace is a lovely recreation of the BBC Sherlock’s iconic 221B door, with 18ct gold detailing on the numbers, knocker, and letterbox. 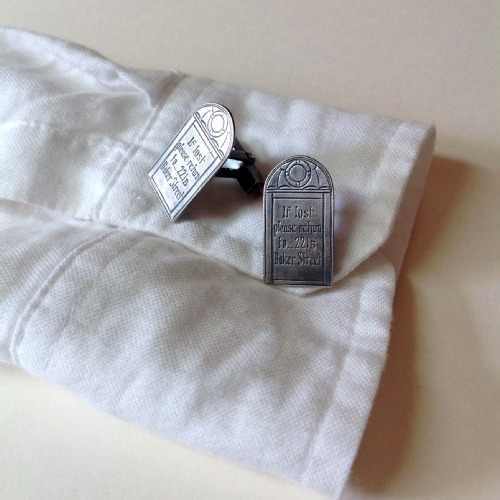 The other pieces in the collection have “If lost, please return to 221b Baker Street” inscribed on the front of the door. Each piece is cast in solid silver, and finished by hand by the Honeybourne team, so no two pieces are identical.